. إن الخدمات التي يقدمها Browns at Broadbeach Motel تضمن للنزلاء إقامة مريحة. يمكن لضيوف الفندق الاستمتاع بالميزات التالية على أرض الفندق: تسجيل وصول/خروج سريع, تخزين الأمتعة, صف السيارات, التوصيل من وإلى المطار, غرفة عائلية . تتضمن كل غرف النزلاء وسائل الراحة والتسلية المصممة خصيصاً لضمان الراحة القصوى للضيوف. يمكنك طلب اللائحة الكاملة للخدمات في الفندق ومن بينها حوض استحمام ساخن, ساونا, حمام سباحة خارجي, سبا, حديقة. استمتع بخدمات لا يعلى عليها وعنوان ذو اعتبار في Browns at Broadbeach Motel . يتبع هذا العقار سياسة بمنع إقامة الحفلات أو إصدار ضجيج بعد الساعة 10:00 مساءً. Room great for 5 persons (2bedroom). Clean and comfortable. Was fine for 1 night. We had a room upstairs so had a good view to Broadbeach buildings. Don’t think being on ground level would be as nice. Too many clientele who smoke is my deterrent staying again . Both rooms beside us smoked on balcony and rooms below us. This was my only gripe with the place. I had room 14 which is a single spa room. The spa didn't work and the left side of the bed was broken. I was sleeping like a V shape. But for $109 it wasn't a big issue. 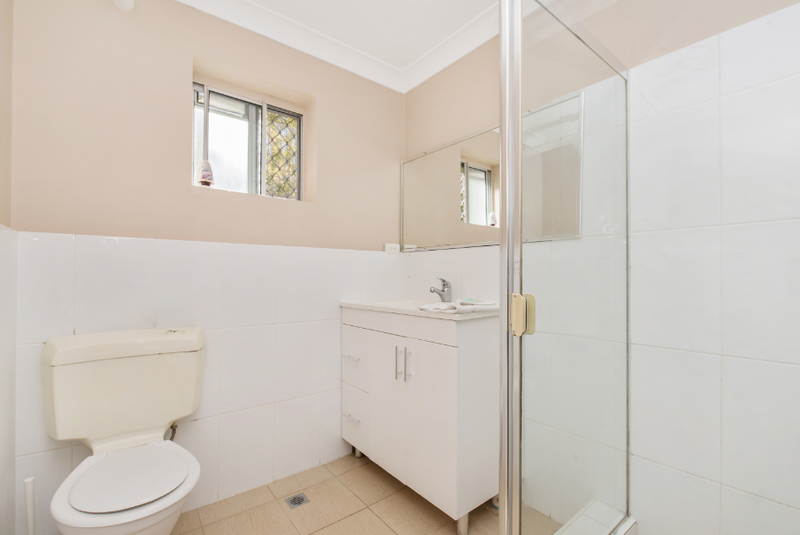 It's across the road from Pacific Fair and a 5 minute walk to Broadbeach South tram station. There's a Domino's pizza and liquorland 5 mins walk south plus other shops Inc an adult shop. 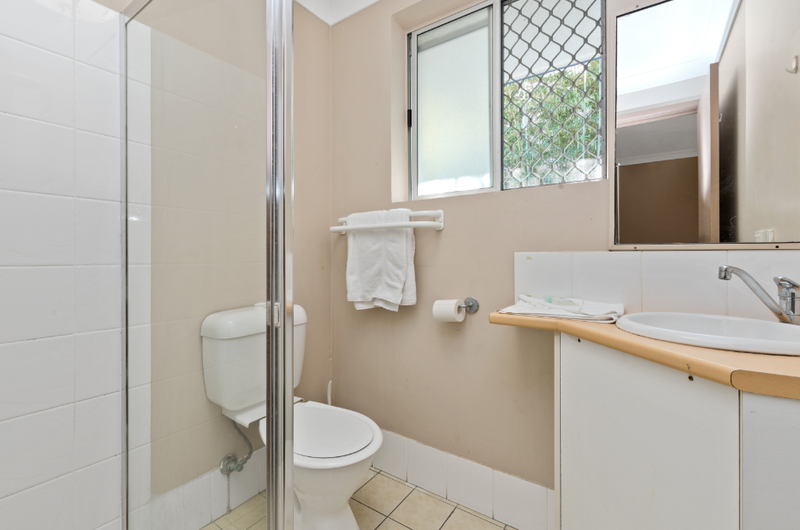 The location is perfect, so close to parks, beach, shops & cafes. We stayed in a 2 bedroom unit which was quite big, plenty of room for our family of 5. 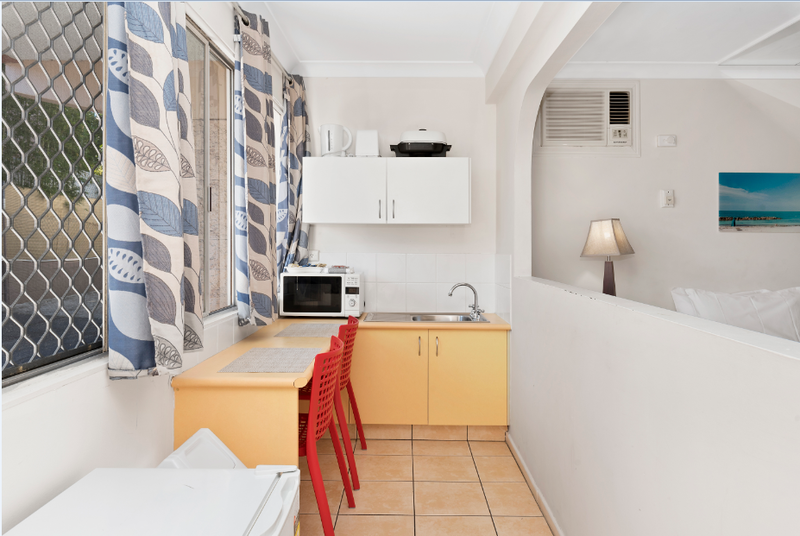 Decent size bathroom & kitchen, comfy beds, basic dining table & 2 cane chairs rather than a couch. 3rd single bed was in the lounge room so we just moved it in front of TV so kids could be comfy. The kitchen had very basic supplies. Microwave, knifes, forks & spoons, one class bowl. No sharp knives, salad bowls etc. We would happily stay here again & recommend to our friends & family. It was a great room for the price. Much roomier than I expected, and with a kitchenette. Marvellous location and much quieter than I expected, for that very reason!! I had a conference to attend, and the lovely lady at the office processed our check in very early as I had made the booking and needed to produce my Visa card and photo ID. My husband was then able to return later and just pick up the key. Of course it is an older style building but that didn't bother us one bit. It was a good stay at Browns at Broadbeach motel, the only lack is that we should ask the reception for the iron and hairdryer also the key to turn on the AC (they were not provided in the room) and the floor was slippery when we came in, I believe it was because of the humidity and the room was lack of air ventilation but we were glad that we were given the key for the AC so that the room's humidity could be controlled. Good place for when on a budget. Location was one of the best things about this place. Have nothing really to say bad about this place only that you can hear people clearly through walls if they're being loud or bonking. Nice location and very near to beach and mall just opposite the street. Rooms are big and spacious and suits a family well.But hotel need some renovation, bathroom sliding door can't be locked from inside. Difficult to find the hotel in night as the signboard is quite old and dull, no lights. 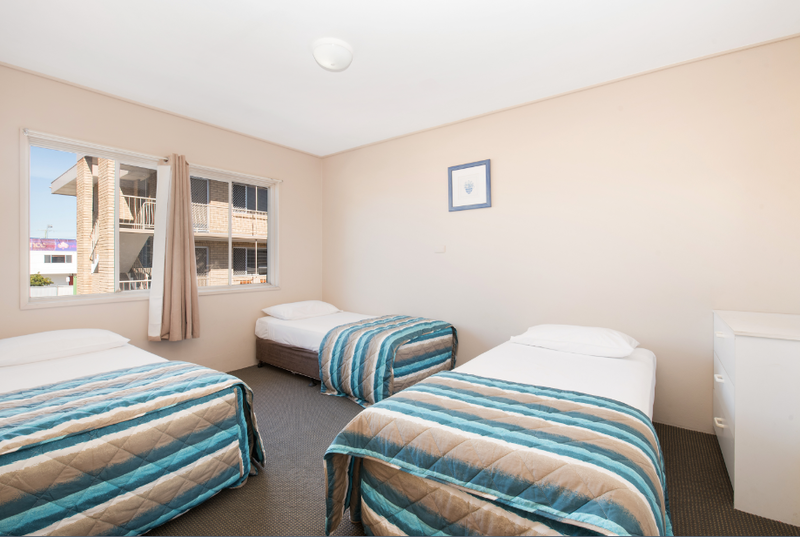 Easy access to Pacific Fair shopping centre and the Gold Coast Convention Centre. Facilities are clean and, although a little older, well maintained and functional. 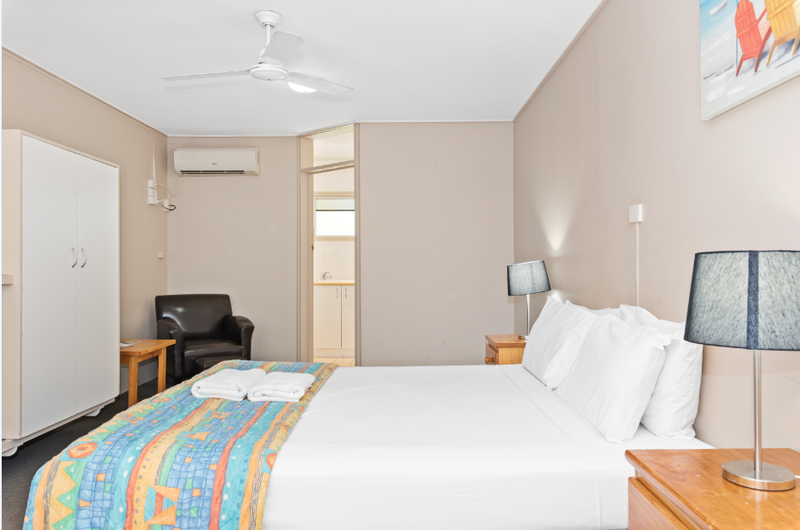 Rooms are spacious with good ventilation through windows on both sides of the building. Didn't see any sign of the continental breakfast mentioned on the web site and by the time I realised it was too late at night. In fact there was very little information in the room about facilities other that ads for nearby restaurants. Unfortunately I had a party 5 rooms along and although the management managed to get the music turned down, drunks have very little idea of how much noise is acceptable. Always a risk in a reasonable priced motel. 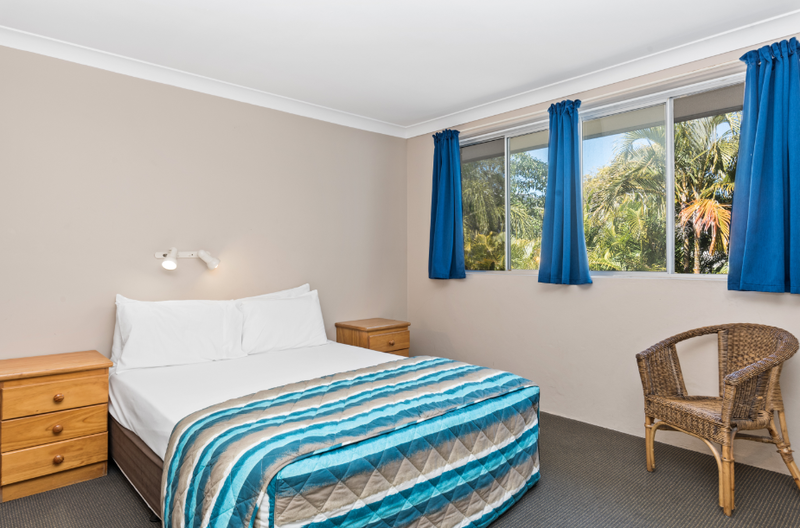 Booked a twin room for Broadbeach Blues Festival weekend. 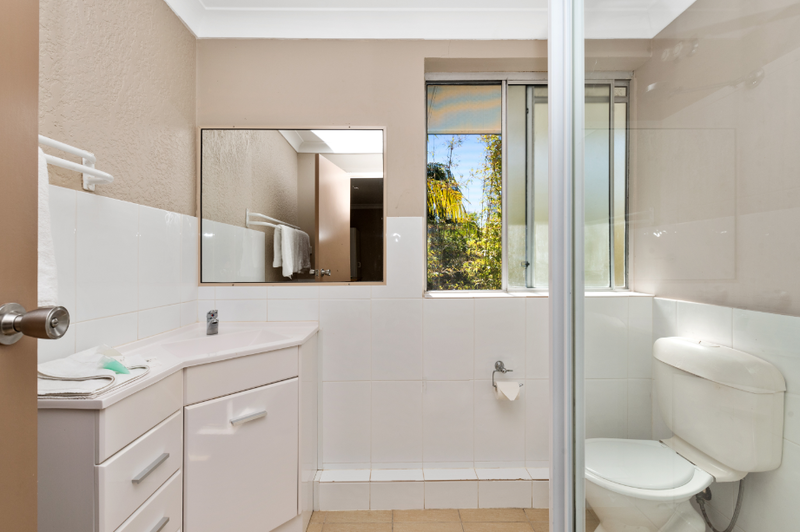 Don't expect to have hair dryers, bedside lamps, soaps and shampoos in the bathroom or views of the sea. I had to ask for a light bulb to be replaced and for the beside lamp, but that was no drama, as long as you request them before 8pm. 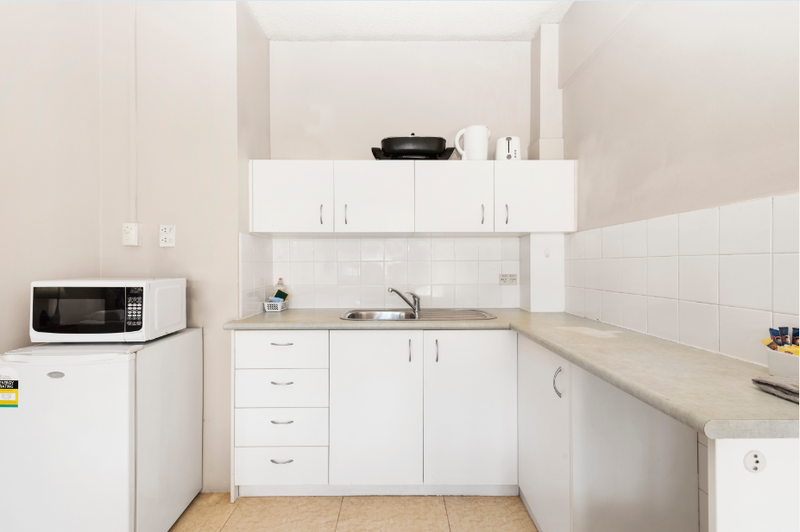 However room was very clean, had a kitchenette. A good place to relax after exploring the beach or broadbeach central. Was a fifteen minute walk from the commercial hub, but there was a light rail and bus stop a few minutes walk up the highway. The beach looks like a lot more of an attractive proposition than the pool, which is quite small and next to the highway. Staff were very friendly and gave good customer service. I really enjoyed my stay at Browns at Broadbeach Motel. It is an old hotel that has been refurbished. The staff were helpful and friendly. The groundfloor king room was spacious with a kitchen, spa and king size bed. My only problem was the directions were incorrect. It is just past Mermaid Avenue and not Alexandra Street as listed on the map and I had difficulty finding the place. Very basic price for very basic location, accommodation and service. Electricity tripped 5 min after check-in, but hostess came to our rescue soon thereafter. Supplemental towels provided on request (only 2 available at first).